John Bartram Lives! « John Bartram Lives! I have done worthwhile things, achieved some notoriety, seen many wonders, had experiences that challenged my being, and–most importantly–collected plants. I will take Ben’s advice and write about them. I will let the reader determine their value. In my age I have been named Royal Botanist to the North American Colonies by King George. For that honor, I am given a stipend of £50 per annum. I am a fellow in the Royal Swedish Academy of Sciences. I correspond with many of the finest scientific minds and botanical collectors of the age: Dr. Carl Linnaeus, Mr. Jan Gronovius, Dr. James Fothergill, Mr. Philip Miller, Mr. Mark Catesby, Baron Robert James Petre, and most especially Mr. Peter Collinson. “Pick up the pace. Don’t be erudite. Get to the point!” He says this because he knows where I’m heading. He knows it’s going to become more about him. And it tends to becomes ALL about him in most circles of his correspondence. Franklinia alatamaha: It is a unique species that takes on characteristics of the Magnolia, Stewartia and Gordonia but wraps them up in ways that are distinctive to its own magical presentation. People ask me all the time about it. It has become an example of what I find, cultivate, and introduce to the international trade of botanicals. It was named to honor Ben. Of course! Billy and I discovered a small copse of Franklinia on a trip of exploration up the Alatamaha River in Georgia. That country is wildly exotic and full of the riches that would excite any confirmed natural scientist. 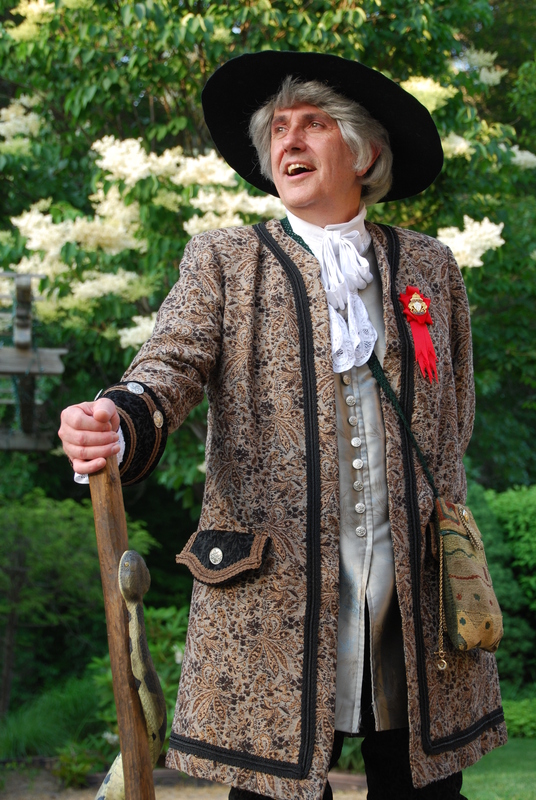 John Bartram in his natural element dressed for the trials of the road. On this particular expedition, I was hopeful that my son, William (or Billy to the family) would catch the same passion for scientific investigation that has dogged my travels throughout adulthood. I’m afraid that my expectations of him will never be realized even though he has been my much-considered and especially treated son. Ann and I must wait to see how he will come out. Anticipation–though good for the Christian soul–is very bad for the heart! In all of the 300 years since I first saw the light of day, people have returned to my garden on the banks of the Schuylkill River to the south of the main intersection of Broad and Market Streets in the city of Philadelphia in the commonwealth granted to the Quaker, William Penn by King Charles II. Old Billy Penn founded this colony on the notion that its citizens were entirely free to worship the God (or Gods) of their personal definition. My father’s generation of Quakers believed fully in the independence of the will. And that the soul is imbued with a spirit that shimmers with the spark of divinity granted by our Creator God. Each one article of God’s creation carries the same spark. God’s animals and minerals and vegetables contain some reflection of his fire. Each must be preserved, conserved and protected if the whole is to succeed. As creatures in the vastness of His wisdom and creativity, we mere human beings only deserve that which we can fully use. We are charged to conserve the balance for the future benefit of our species. All other demands that we place on God’s nature threaten His light in this world and ultimately the future of our species. We must never be profligate. We must never waste. We must never use our earthly powers to select and destroy. 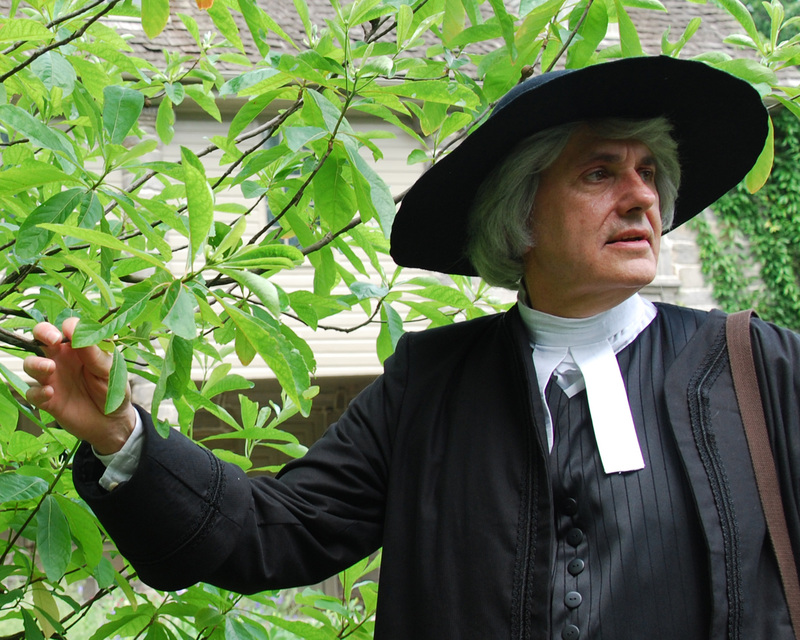 The world is a better place now that we have John Bartram here – excellent blog and terric information! Looking forward to making this blog part of my daily reading! Editor’s Note: It has become my pleasure to tour with this man. He still continues to unveil new dimensions to his many interests. He likens it frequently to the image of peeling an onion.